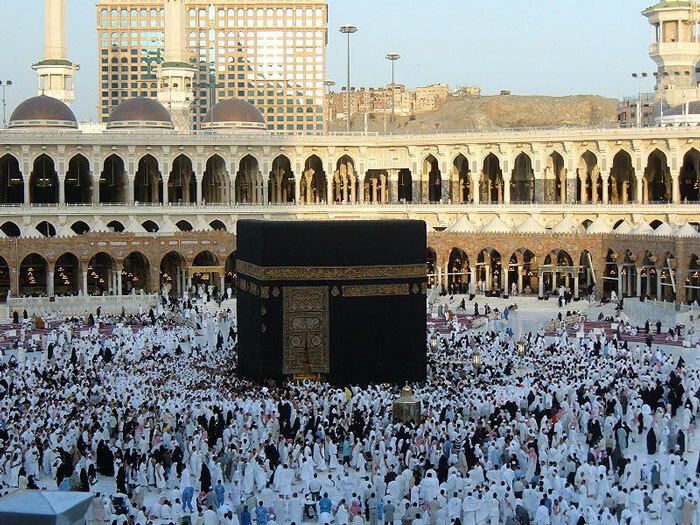 According to the Hanafi Madhhab, two prayers can only be joined in Arafat and Muzdalifah during Hajj. Prayers may not be combined in any other circumstance, including travelling. According to the other schools of thought, it is permissible to combine prayers in certain circumstances, such as during a journey. Like with Qasr Salah, you need to qualify as a Musafir in order to combine prayers. Jama al-Taqdim (Arabic: جمع التقديم; “early joining”) – combining the prayers at the time of the initial prayer e.g. combining Dhuhr with Asr at the time of Dhuhr and Maghrib with Isha at the time of Maghrib. Jama al-Takhir (Arabic: جمع التأخير; “late joining”) – combining the prayers at the time of latter prayer e.g. combining Dhuhr with Asr at the time of Asr and Maghrib with Isha at the time of Isha.